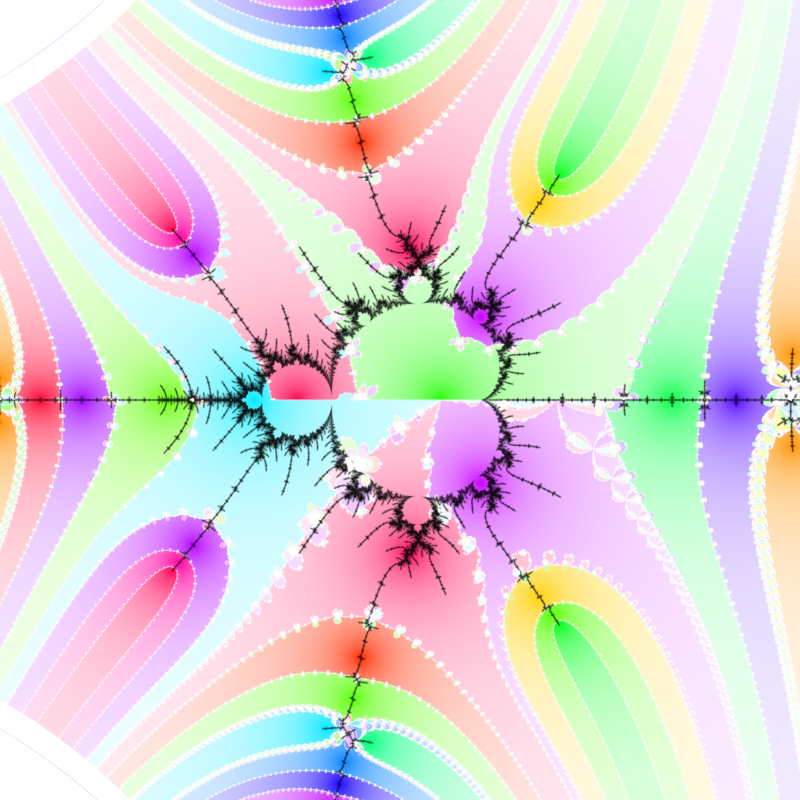 Previously on mathr: Newton's method for Misiurewicz points (2015). This week I applied the same "divide by undesired roots" technique to the periodic nucleus Newton iterations. I implemented it GLSL in Fragmentarium, which has a Complex.frag with dual numbers for automatic differentiation (this part of the frag is mostly my work, but I largely copy/pasted from C99 standard library manual pages for the transcendental functions, Wikipedia for basic properties of differentiation like product rule, quotient rule, chain rule...). You can download the FragM source code for the images in this article: 2018-11-17_newtons_method_for_periodic_points.frag.